Nice❣ just one question if u dont mind answering, how old are you? 24… cool… and i still go to school. Im so happy to talk to you. I finally found a good friend on wordpress. U made my day too. Yup, such is the life of a poet. True to his heart and emotions and not living a shallow life. 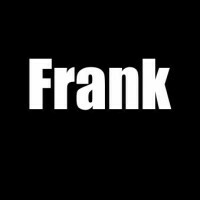 Keep writing Frank! Pink polka dotted giraffes! 😂 Hats off to your imagination! Ain’t I proud about that? Where are all the dames though? Used to love football, it was much more than a game, it was a social event. It died when Sky took over the game and terracing was removed. Not sure if we poets should drop back and pass or punt? Great fun! Thanks! So much of feel in your poems !! Love them . Growing old with belly fat. Yeah, but you don’t risk concussions…other than that, I too, am jealous of the fame, wealth and infinite dames! It was a good laugh 🙂 Have a nice weekend! Love it. Just how I feel. Ya, he took the words out of my mouth!